“I have thought about Dhanapala’s position quite a bit. Dialog clearly considers him a valuable person and seems to pay him well for his services on the Board. I have no problem with that. However, irrespective of whether I was a member of the Friday Forum, Bolshevik Party or anything else, I would have a problem if a company on whose board I served, engaged in unethical practices.” says Professor Kumar David. Jayantha Dhanapala, a prominent member of the Sri Lankan civil society group, the Friday Forum, is a member of the board of directors of Dialog Axiata PLC. Dialog one of Sri Lanka’s key telecommunications providers, has been surreptitious blocking access to Colombo Telegraph, over a period of time. Dhanapala, in his communications with Colombo Telegraph uses the word ‘alleged’, implying that he is not certain if indeed Dialog had blocked Colombo Telegraph. However, our investigations reveal that he had told his friends that he could not access Colombo Telegraph. This was 7-10 days prior to our first communication ( February 17, 2014) with him. The use of the word is inexplicable since Colombo Telegraph provided him with the technical report which clearly shows that Dialog was indeed blocking Colombo Telegraph. Dhanapala has claimed that he is a regular reader of Colombo Telegraph. As such it would be strange indeed if he, a Director of Dialog, was using another internet service provider to access the site. “Its also quite surprising that he would use the term, ‘alleged’ to describe the blocking, when neither he, Friday Forum nor Dialog has contested the US State Department’s HR report for 2013, which reports the blocking of CT from Sri Lanka.” Dr. Pradeep Jeganathan, told Colombo Telegraph. Dhanapala is an “Independent, non-executive” director of Dialog, and would in accordance with company policy, have “independent access to the group’s senior management,” and also “professional advice,” on the legal status of the blocking. Colombo Telegraph Blocked, How To Reach Us Now: Sri Lanka Telecom And Mobitel Joins The DPI Club! Fourth – August 23, 2013 – Colombo Telegraph Blocked, How To Reach Us Now: Sri Lanka Telecom And Mobitel Joins The DPI Club! විදුලි පුටුවේ ස්වභාවය කෙසේද යත්.. Thank you Dr Kumar for raising your voice against this Dr jekyll and Mr hyde. Pure and Decent voices of Gamini and prof KD have much more value if their concern about those values are not selective and no hidden agendas … What do G and KD think about the highly selective biased propaganda directed towards SL by the global media mafia and the ugly world institutions like UNHRC (obedient servant of USA)? While these guys are in this ‘large payment’ business, could they comment on what Lord Naseby said about their much loved channel 4? In case they have not seen or conveniently forgotten, here is what Lord Naseby (The Rt. Hon Lord Naseby PC, Baron of Sandy, Member of the House of Lords of the UK parliament) to say about the channel 4 …..
“Conclusive evidence” had emerged, Lord Naseby asserted, that so-called witnesses to alleged war crimes in a documentary by Channel 4 were “fully paid-up members of the Tamil Tigers”. So why don’t you advice MR to get out of ‘world ugly institutions’ like UNHRC and UN. Nobody force SL Gov be part of those. Does he know how to swim? All he knows is filth and how to embezzle & loot. Why don’t you provide us with the credential of Lord Naseby and, while you are about it, that racist s.o.b. son of a murderous Irish “nationalist,” Ian Paisley Jnr? And while you are about it a link to the House of Commons inquiry into false expense claims by the latter might be appropriate given that he (like Lord Naseby) is in receipt of “emoluments”from the SL government! Don’t go off half-cocked in praise of politicians who are TOTALLY discredited in their own countries. That he may be influenced by the apparently large payment he receives for his services on the Board. ” Well, well, Deja Vu, have seen it before. 1. Bribe takers are influenced by the large amounts of money. 2. Whores-are influenced by the large and small amounts of money. 3. Both have one thing in common. Self-interest and money, not necessarily ethics or the interest of the society they live in. What about the Tamils who were not ethical and looked the other way, when LTTE was carrying out it’s ethnic cleansing of Sinhala and Muslims? Please read up on LSSP, and how they were bought out with portfolios. They, sacrificed their egalitarian principles for Monk Mahanama following Sinhala Buddhists. In 1964 the LSSP held a conference, at which the majority agreed with a theoretical categorisation of the SLFP by Hector Abhayavardhana as a petty bourgeois party, leaving the door open to a united front with it. A minority faction, led by Colvin R de Silva and Leslie Goonewardena, opposed the move but opted to stay within the Party. Another minority faction led by Edmund Samarakkody, Merryl Fernando, V Karalasingham and Bala Tampoe, left the party and formed the Lanka Sama Samaja Party (Revolutionary)- LSSP(R). DeJza Vu… Seen it before….How many times…. WHY NOT CALL FOR A BOYCOTT OF DIALOG SERVICES? I HAVE STOPPED PAYING THEIR BILLS (DIALOG MOBILE & TV) OBJECTING TO THEIR CENSORSHIP. JD must leave Friday Forum straigtaway if he doesn’t want to see Friday Forum dragged into mud. Friday Forum also must ask him to leave FF till he ”sorts out” his conscience. The million dollar question “WILL FF ASK HIM TO LEAVE OR NOT?”. This will tell us a lot about the FF and its future. You are making a big mistake in making that request. Already, two members of FF have leaped to JD’s defence indicating the kinds of hypocrites who are members of that bunch of publicity seekers (without risk). What is this? Another articel by David or a report of an interview. Who interviewd him? I never thought that Dhanapala like figures would ever behave like Mervin. This country has gone to dogs to this day. He has to come with a very clear explaination on this issue. Longer Mr Dhanapala stays away from his response, the worst will be for his image. Money, money, money…Salleee , salleee…salleee. I guess the UN and foreign service pensions don’t cut it! as far as I know non exec directors do not earn lot of money. they are paid only for attending board meetings which are usually once a month. often take these position for prestige and their role is to bring a balance to company where often controlling share holder dictates all policy often unethically. but in my experience very rarely do these independent directors raise their voice to bring in independence. I often wonder whether its cos they are not paid enough ? On the 17 th it was Holi where kids get a chance to abuse the elders and throw colour- just to remind them we have a chance too. This holy holy Mottapala wanted the world to support him to become Sec Gen thank your stars and try not to annoint any one to these world bodies because the country speaks for itself. Motta pala is another Cabal rala. Dear People – If you have good evidence to attack Jayantha D do so. I also believe there appears to be a question of conflict of interest involved here because blocking is an attack on freedom of information. Private sector in Sri Lanka is highly susceptible to political influence. If they do not follow unofficial directives from the high and mighty, they will be unofficially taken over using EPF / ETF funds or using proxies or front companies acting through the CSE. People like JD are caught between the devil and the deep blue sea. Finally it will be the country which suffers due to the loss of such outstanding persons. Either they can go into retirement or go abroad. There seems to be no place for talent and independent thinking in this country. As in the case of most independent directors , they do not have the balls to take up core issues which affect fundamental rights . Example , we are fast approaching the first year anniversary of Mobitel supporting BBS themes song, however Dialog refused to put in their play list , in fact there was an attempt internally by Mobitel to put in the top ten. The board headed by Nimal Welgama did nothing to deal with the problem , In fact no inquiry was conducted to asses the managers involved…. This is the sorry state of so called ethics and values of management and the company being the most racist. Dialog is highly obligated to TRC and any non conformity would mean Great repercussions on spectrum and other licensing issues, which dialog is highly dependent on. 76,000,000 SL Rupees = about 581,000 US dollars. We don’t know how much each board member receives but if we assume they all receive an equal share, that would come out to about $72,000 , for meeting 7 times a year. So each individual takes home $10,200 ( 1.3 million SL Rupees) from each board meeting. Dhanapala has strong financial motivation and is no doubt mindfull of the Rajapaksa regime . Yet there are many Sinhala and Tamil public figures who have criticsed Rajapaksa , so Dhanapala is not alone should he choose to join the resistance. After all, Srl Lanka is not a failed state as some want to portray! … Many richest in the west must be salivating looking at $10,200 per board meeting …. You guys have taken long time to figure out who this selfish Dhanapala is … People of SL had known this for longtime seeing his betrayal of the country from outside … All these so called ‘Friday Forum Professionals’ who had free education in SL from kindergarden to local/foreign universities have betrayed the mother country Sri Lanka left and right … Even now, they like Dhanapla are sucking blood from the country and continue betray the country for their selfish agendas …. Dhanapala has like minded friends in the net and friends in the net have Dhanpala …. What a combination! So, do not rock the boat too much …. One day, Dhanapala’s friends who are exactly like him in ‘morality’ and ‘decency’ can also achieve what he had achieved … Have patience guys! I am not unsympathetic to your position, and those of Pradeep and Sara. But I wonder if the critique also ought to be extended to the other directors of Dialog as well? If not, we are simply assuming that they are already corrupt and beyond redemption. Aiyo all these talk of Directors salaries in the Dialog board will make fellows like K A Sumansekera and Fathima (Lorenso) to try and become directors in Dialog or other such places! Can they make the Monk Mahanama Imagination become true? Friday Forum which describes itself as a “gathering of public spirited persons who are dedicated to promoting peace and development in Sri Lanka within a framework of democracy, social justice and pluralism” has aligned with an NGO named Rights Now, Collective for Democracy which acts as a front for a political group known as the Sri Lanka Vanguard Party (Sri Lanka Peratugami Pakshaya) which follows a fascist and anti-feminist agenda. This new alliance has come to light with Samabima, the Sinhala monthly magazine published by the Rights Now, Collective for Democracy in its Febraury 2014 issue carrying a special four page supplement under the title Friday Forum in which it carries in full a recent statement by the Friday Forum. The supplement is presented as an official publication of the Friday Forum with its contact details and the list of names of Firday Forum’s currently active members given as follows: Dr. Jayantha Dhanapala, Professor Savitri Goonesekere, Dr. G. Uswatte Aratchi, Professor. Camena Gunaratne , Ms. Suriya Wickremasinghe, Rt. Reverend Duleep de Chickera, Professor Arjuna Aluwihare, Mr. Ahilan Kadirgamar, Mr. J.C. Weliamuna, Dr. A. C. Visvalingam, Ms. Anne Abayasekara Mr. Tissa Jayatilaka, Radhika Coomaraswamy, Rev. Dr. Jayasiri Peiris, Dr. Jayampathy Wickramaratne, , Dr. U. Pethiyagoda Prof. Gananath Obeysekera Mr. Danesh Casie Chetty, Professor. Ranjini Obeyesekere, Dr. Deepika Udagama, Ms. Sithie Tiruchelvam, Ms, Damaris Wickramasekera, Dr. Selvy Thiruchandran, Faiz Ur-Chandran, Ms. Manouri Muttetuwegama, Ms. Shanthi Dias, Javed Usuf and Mr. Chandra Jayaratne. Sri Lanka Vanguard Party, formerly named X Group is well known for its vituperative attacks against members of civil society with the detrimental effect of silencing independent minds among the youth. It has also taken an anti-feminist stand in persistently and viciously attacking in a sexist manner female members of civil society whom they consider their political enemies. For example, the Sri Lanka Vanguard Party, on their web pages has been hounding for a long time a senior female academic mounting a massive and continuing sexist attack against her dragging her personal life into public discussion because she has been critical of authoritarian politics of Sri Lanka Vanguard Party/ X Group. 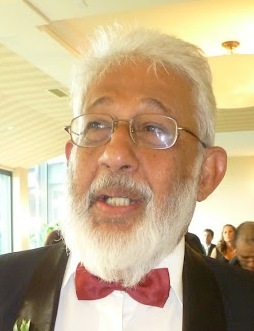 Leader of the Rights Now who appear in public as a civil rights activist has been a long standing leading member of the Sri Lanka Vanguard Party/ X Group and the Rights Now, Collective for Democracy which is known to be funded by the European Union among other international donors is seen to channeling the NGO funds to Sri Lanka Vanguard Party. The leader of the Sri Lanka Vanguard Party and a team of party cadres lead the training of young interns recruited to Rights Now via its internship programme mainly offered to young school leavers and undergraduates which functions as a front for recruiting cadres to the Sri Lanka Vanguard Party. Sama Bima the monthly Sinhala publication of Rights Now which also publishes weekly in a full page advertisement in the Ravaya Sinhala newspaper is the Sinhala publicity arm of the Rights Now, Collective for Democracy. It is by making Samabima their official publicity provider in Sinahala that the Friday forum has aligned with the Rights Now, Collective for Democracy. Are the members of the Friday Forum aware of the far reaching implications of Friday Forum linking up with the NGO, Rights Now, Collective for Democracy? Are Friday Forum funds channeled to Rights Now, Collective for Democracy? Members of the public who have come to appreciate the work of Friday Forum would like to know the response of the Friday Forum to these questions. Why not the noble ones leave Friday Forum to the prostitutes and start a Saturday Forum for themselves? Pounds. Naseby is just one of those cheapos like Ian Paisely.